Trade shows offer a unique opportunity for financial services companies to meet with clients, prospects, vendors and peers from all over the world. In today's competitive marketplace, attending, exhibiting and speaking at conferences help companies to increase brand awareness, generate leads, and build strong business relationships in their respective industries. To help keep track of key events in 2018, William Mills Agency has compiled a detailed listing of trade shows by industry sectors. This guide will help keep you up to date with the most important events for your sector of the financial services industry. 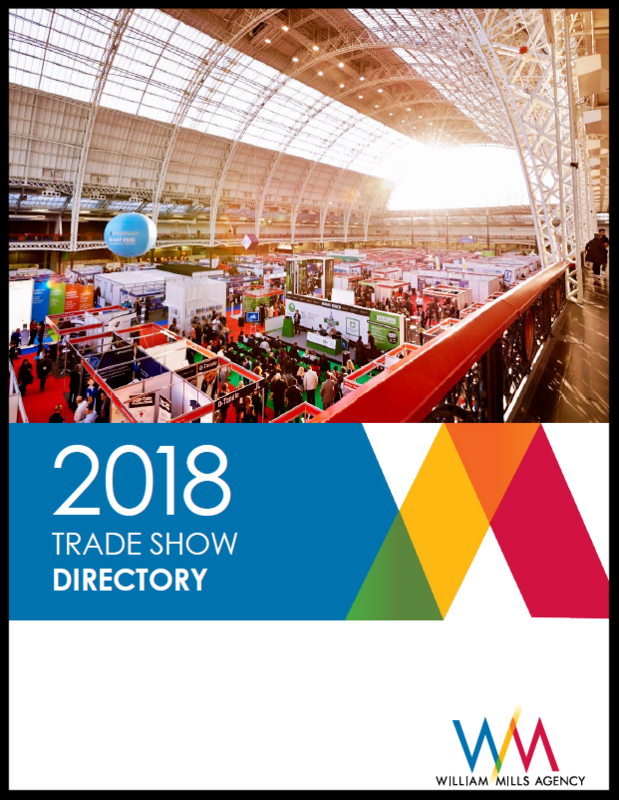 Our 2018 Financial Trade Show Directory provides the information you need in a user-friendly format with hyperlinks to key event information. For more help planning your trade show season, contact us about our public relations services.